I’m in my second year of a Diploma in Therapeutic Counselling with an Integrative approach in London. Your post about leaving the BACP over their LGBTQ diversity issues worries me as a trainee. As I’m told at every stage I need to be BACP registered and Accredited. I’m so glad I received today the link from you and a hard copy of Therapy Today on this issue. It is so true that there is a lack of training regarding this. In our institution we have had a days session and if it wasn’t delivered from my colleague who is Trans and myself and aware of your work and other material on Gay Affirmation therapy and how Counsellors / Therapists should work with clients presenting these issues. I would hate to think what would have been delivered. We only presented to one class of three! It really seems a token gesture and not taken seriously for those in current training to challenge their own views and prejudices! Not sure why the lecturers didn’t deliver it? Perhaps they aren’t trained or up to date with this??? Needs to be rolled out to all institutions! I qualified as an Integrative Counsellor in 2008. We had no training whatsoever concerning LGBTQI clients. I researched myself and went on a couple of courses with Pink Therapy. Sad to hear it seems much the same in 2016! I read of your resignation from the BACP today. I think you are doing the right thing, and someone of your stature doing this may possibly effect some shift, certainly makes people take notice. I am a fellow psychologist; I resigned from APA years ago due to the terrible issues around torture, failure to take treatment efficacy seriously, and also the foolhardy drive to attain prescription privileges. Better to stand apart, in my opinion, than to be associated with an unethical herd. The issues around conversion therapy are quite serious and real, and no responsible psychologist should ignore it. This morning I read about your resignation from the BACP, and I just want to say thank you so much. I am lucky to be a young queer woman in Boston, where the atmosphere of most places is somewhere between tolerant and accepting. But in my experiences of mental healthcare, I’ve seen a completely different world. So many psychologists and counsellors are uneducated and untrained about LGBT+ matters, and I’ve seen so much damage done to my queer community because of it. I am graduating from high school in a few months, and as I head into college to major in mental health counseling and social work, I feel like it’s important to have faith in the mental healthcare world that I want to work in. It’s really hard to have that faith when I’ve already seen so many problems with the system, especially in the treatment of LGBT+ people. But actions like yours give me hope– I read your statement and remembered that systems can be changed, and the people who choose to work in the counseling world do that work because they genuinely want to help others. Thank you so, so much for reaffirming that for me, and thank you for the work you’re doing. I imagine it’s not easy to speak out against a group like the BACP. The LGBT+ world is lucky to have you. FFS. That leaves me in a very bad situation. It’s not like I have much choice of professional organisations to belong to. I’m not sure where else I can go in terms of membership organisations. Makes me feel angry at the conservatism of the BACP. 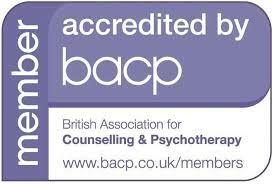 I’m a referral counsellor for a therapy centre based on my BACP accreditation, it would mean losing my livelihood unless I could persuade the therapy centre to accept the National Counselling Society. What could BACP be doing? Develop some core competencies on Equality and Diversity related issues that take account of the complexity of intersectionality. Ensure therapists receive some basic sexuality awareness training so that they can discuss sexual issues with their clients. Ensure Gender and Sexual Diversity issues are woven throughout the therapy training and not just a tokenistic add on. Closely audit the courses BACP accredit to ensure they are meeting these requirements. The training should be delivered either by faculty if they feel competent, or by external trainers. Students enrolled in the programme should not be delivering this training. 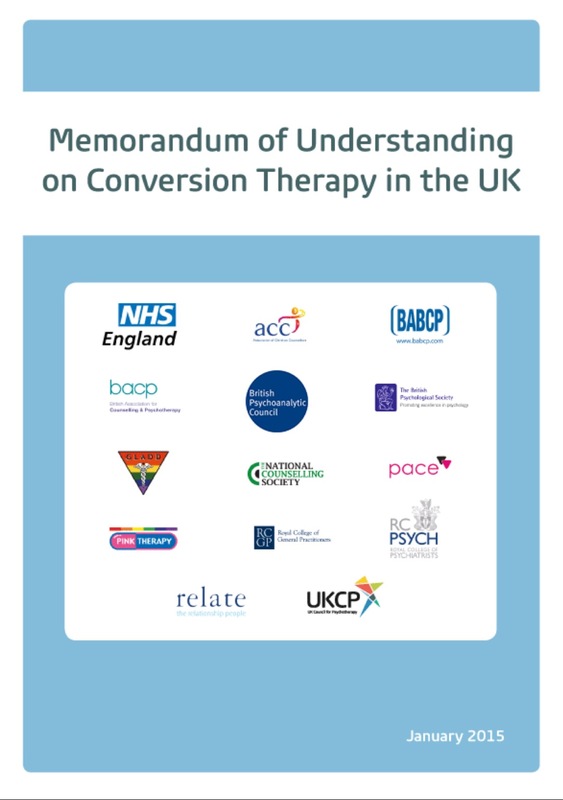 As the major UK therapy organisation and therefore the wealthiest, BACP could be funding a researcher to produce an FAQ on Conversion Therapy and develop some training materials on this subject as a resource for all of the signatory organisations and their members. Actively support people from disadvantaged and underserved communities to train as therapists. In particular, increase the availability of therapy from Black and Minority Ethnic (BAME) and Trans and Gender Diverse counsellors. Both groups are significantly economically disadvantaged in society and yet also have poorer mental health and so we need to ensure training isn’t only affordable by wealthy people. This is why we’re offering a couple of training bursaries for our own two-year PG Diploma in Gender and Sexual Diversity Therapy to Trans and BAME therapists. It’s estimated that basic therapy training costs between £20-£80k and for those people who then want to go on and specialise in working with Gender, Sexual and Relationship Diverse Clients it’s going to add another £5k. In one of my earlier blogs I mentioned how both BAATN and ourselves have set up volunteer led mentoring schemes to support those members of our communities who are training to be therapists in what can be quite alienating and hostile environments.